In London, Nick gets to know a girl that puts his mind crazy. He can't stop thinking about her at night. Which Nick will choose: Kelly that he has crush on teen or this mysterious girl he met in London? Summary: He had made it. He had made it back home. Summary: Join Baylee in the search for answers from his father on an epic journey. Accompanied by Nick and a very strange canine, things are bound to go wrong. Summary: There were the stars looking down at them, the silver moon wrapping its long arms around the couple and, yet, none of those mattered: their own and whole existence laid inside each other’s eyes. Summary: After a hate crime left him wounded and shattered, Brian is ready to raise up again. Now Brian finally realized that he didn't have to face it all alone. He wasn't alone. Because Nick will always be there for him, to fight along with with him. Summary: This fiction is about how Nick ended up to be Ghost of the Theater and how he said goodbye to love of his life Anne-Marie Millon. 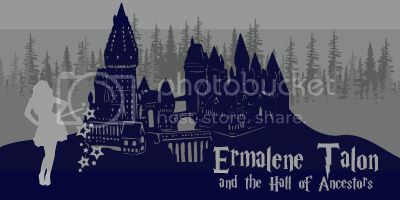 Ermalene Talon was desperate to learn her true heritage in the wizarding world. She only expected to find the names of her parents, but what she discovers at Hogwarts castle is more than she could have ever dreamed. Together with her best friend Andy, an old headmaster's portrait, and the friends she makes along the way, Ermalene must find her destiny -- the Third Prophecy of Trelawney. Summary: Even upon a strong heart comes with a faltering line between life and for death. Nick had always loved his life, career and his brothers. But when the destruction of backstreet boys falls apart,the death of someone whom he loves and a downward spiral in his mind...he is left with a decision that could change it all.